It’s interesting that this month’s blind spot pick, Paths of Glory, just happens to be the second movie I’ve watched this month featuring World War 1 and a No Man’s Land scene. Of course the other film, Wonder Woman, is completely different but it is still a random coincidence as there are not that many World War 1 films made. 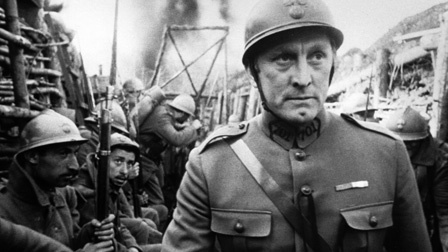 Paths of Glory is directed by the great Stanley Kubrick and is a very interesting war movie. In some ways it feels like Hacksaw Ridge combined with Catch 22. I hated the book Catch 22 because it was so cynical. 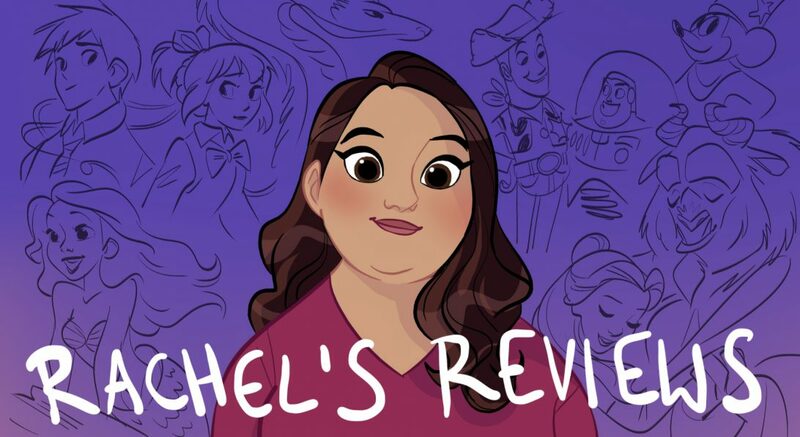 I get the point of the book is to be cynical, but I needed something to latch on to and bond with. 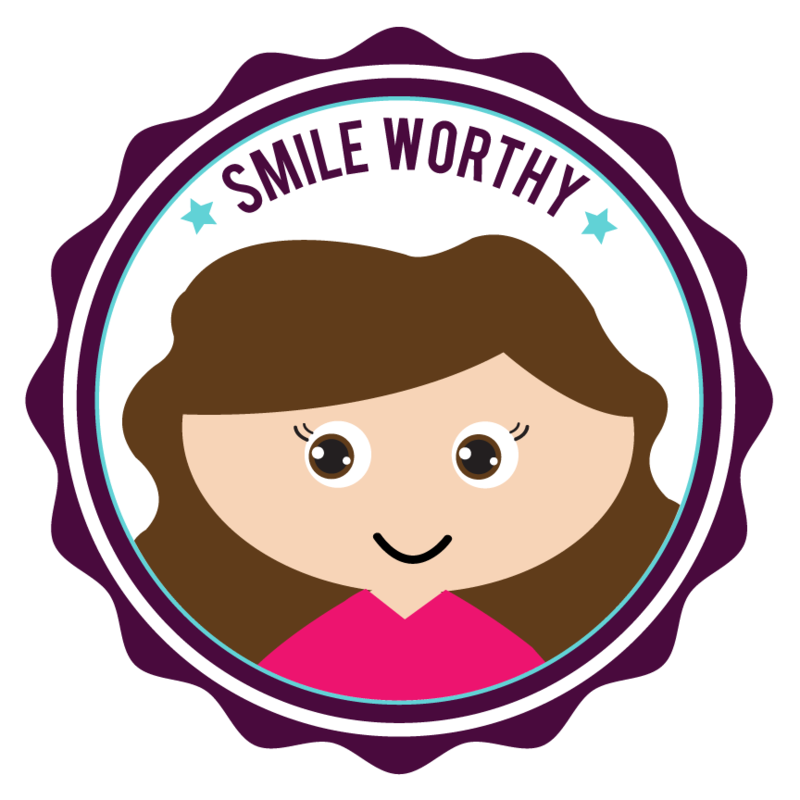 It was a very unpleasant experience that was supposed to be funny. Anyway, I feel Paths of Glory takes this cynical attitude and also give us intriguing characters that we like spending time with. It’s not a satire like Doctor Strangelove but it does have a cynical sad tone to the events of war. 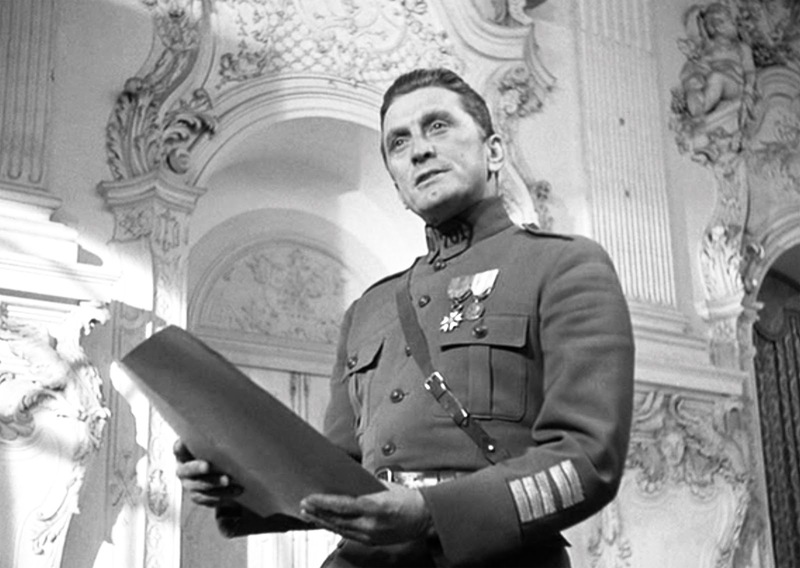 Starring Kirk Douglas, Paths of Glory, is set in World War 1 and tells the story of a division of French soldiers who are commanded to go on a suicide mission to attack the German stronghold called the ‘Anthill’. Colonel Dax (Douglas) tries to convince the superiors to hold off the attack because of the heavy casualties and lack of benefit but they insist upon it. The attack goes forward and a group of soldiers refuses to leave the trench. The men are then ordered to fire upon their fellow soldiers, which they refuse without a written order. The leader, General Mireau, is enraged at the men and blames them for the attack not working. At first he wants to court martial 100 men but 3 are eventually chosen to face trial and execution. It is this section that Paths of Glory moves from being a war film to a courtroom drama and it is also where you get some of that Catch 22 type of cynicism. It makes sense, after all, when what they are doing to these 3 men is extremely cynical. Taking 3 men’s lives because they wouldn’t turn on their own men shows how twisted war can get. 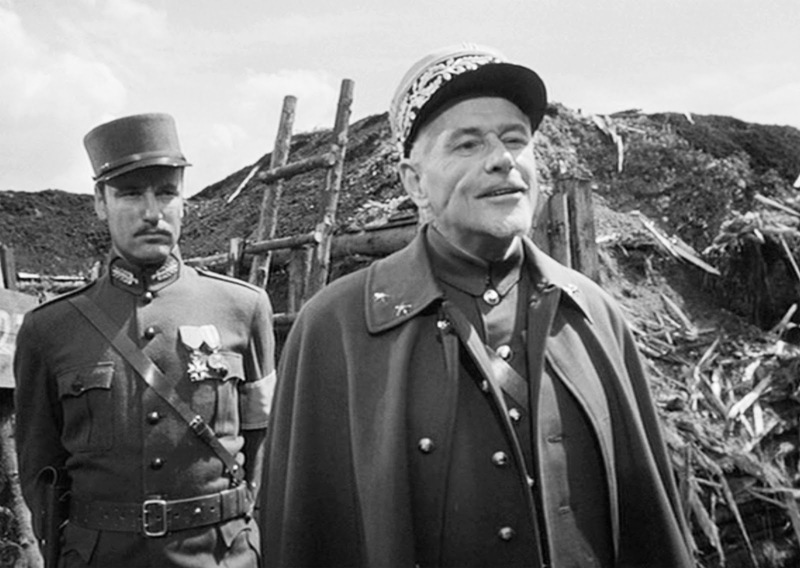 Paths of Glory is a great film. Somehow Stanley Kubrick manages to mix these two sides together so well. 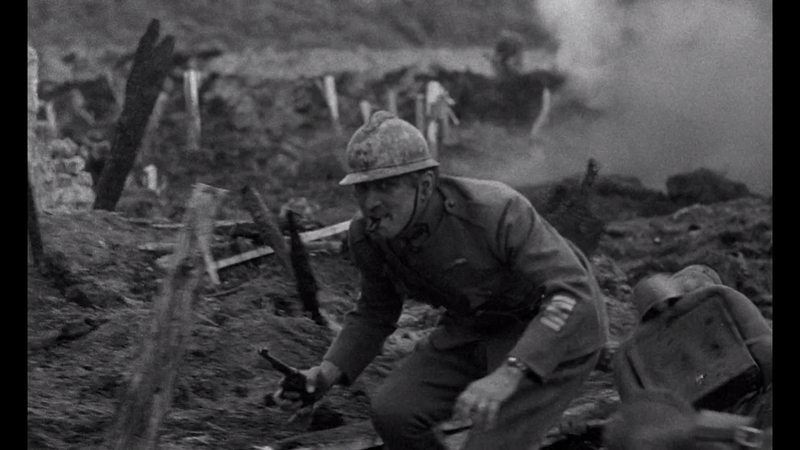 The war scenes are as captivating and disturbing as anything we get in modern war films. And the scenes with the 3 soldiers are sad with a hint of social commentary. It all works. 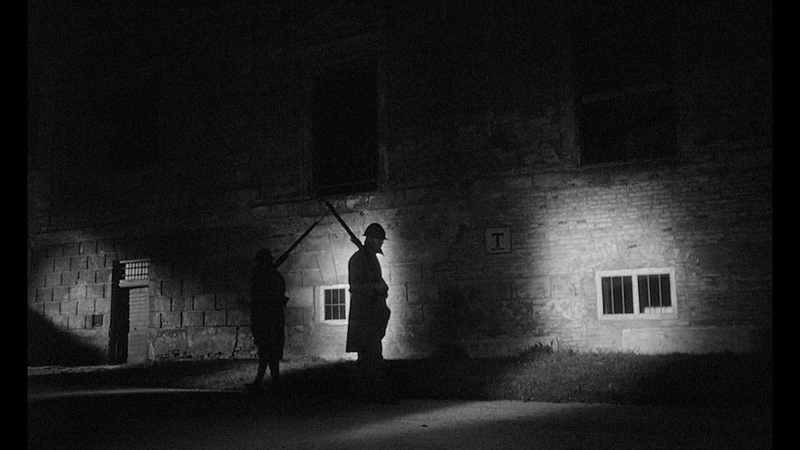 The cinematography by Georg Krause is a master class using shadows and light in a way only possible with black and white. This is not a film that takes war lightly- the way say Michael Bay might today. Paths 0f Glory manages to get emotion in every shot even amidst the chaos of Ant-Hill. The acting is also really strong throughout led by Kirk Douglas. He’s fantastic as Dax who is a hardened soldier with an unsentimental love for his men. He’s basically a good person and a good military man at the same time- a tough balance to pull off. All the other performances are unknowns to me but they did a great job. I particularly liked a scene where a minister comes to take the men’s last confession. The dialogue and acting was superbly executed. I only really have one nitpick with Paths of Glory. It’s just that it is hard to get fully immersed in a story about the French army when everyone speaks English without French accents (at least most of them). I wish they had spoken in French with subtitles or at least had an accent. 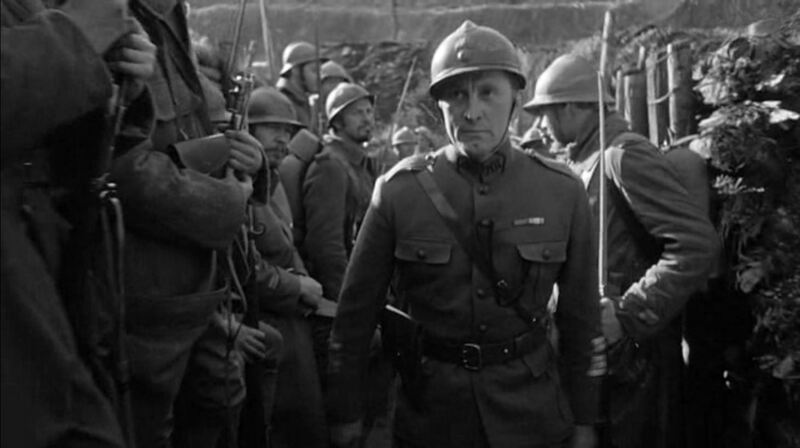 Other than that, Paths of Glory is a classic for a reason. It gives the viewer a lot to think about without beating you over the head with its cynicism. It’s very well made and acted and over all a great film that I highly recommend.